Replace your outdated and worn mechanical linkage with a Silver Sport Transmissions Hydraulic Clutch Conversion Kit. Strong and reliable, this system will last. PerfectFit™ for classic cars, trucks & street rods. Silver Sport Transmissions is proud to offer this complete hydraulic clutch actuator system that will eliminate your antiquated mechanical linkage, fork and throw out bearing. 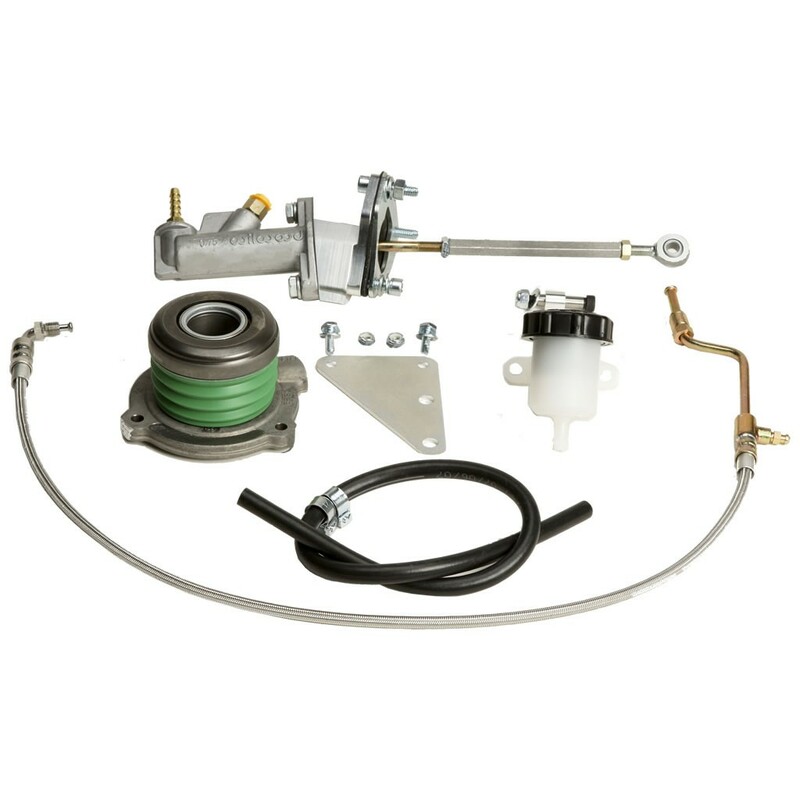 This kit is also an excellent replacement for aftermarket models which suffer from frequent bleed down due to inadequate piston and fluid line seal design. Some models even lack a pre-load spring which contributes to poor clutch release and bearing noise. The highlight of this kit is the OEM style, proprietary design release bearing. It’s rated at 7000 rpms, has a forged aluminum housing, silicone dust boot, piston wiper seals and a 1,000,000 cycle service life. This bearing is well suited for everyday use. Heavy-duty Concentric Slave Cylinder - 1,000,000 cycle service life. Designed for everyday use and superior in quality compared to other aftermarket offerings. How it works: The Silver Sport Transmissions’ combination bearing is called the concentric slave cylinder or CSC. The CSC is designed to be in constant contact with the pressure plate fingers. The CSC is compressed at rest by the pressure plate fingers but when the clutch pedal is pushed, the master cylinder forces fluid into the CSC causing it to expand and release the clutch. Questions about the Silver Sport Transmissions PerfectFit™ Hydraulics Kit? Please give us a call or fill out the form below. One of our technical sales representatives will contact you shortly!